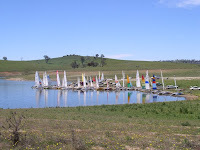 ... our first Annual Regatta in over 7 years! 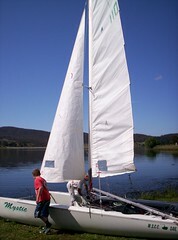 The Maricat Nationals are is also being held at the same time during the regatta. After years of drought - the water is BACK @ 86% capacity plus!!! 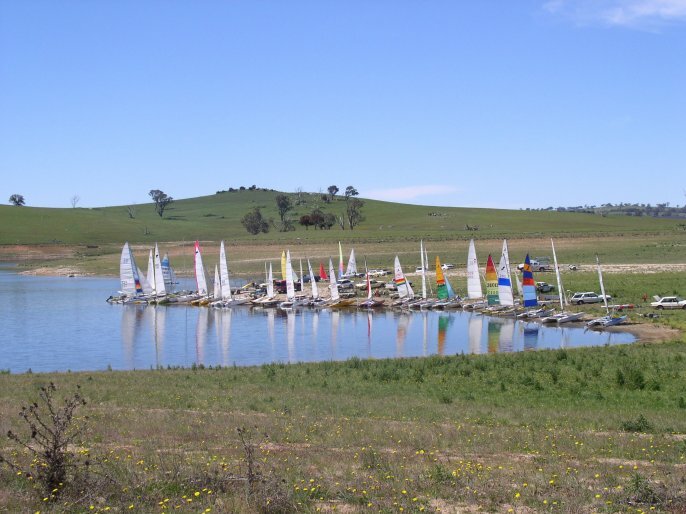 can be found in the nearby townships of Blayney, Carcoar and Neville. Of course, you can also freely camp-out by our Clubhouse. We have quiet shady family-friendly sites, clean toilets and hot showers.